Tungsten carbide grains, permanently welded to a steel band, won't load up, won't break down, won't overheat. Use on wood, fiberglass and plastic. 1/2 inch dia. 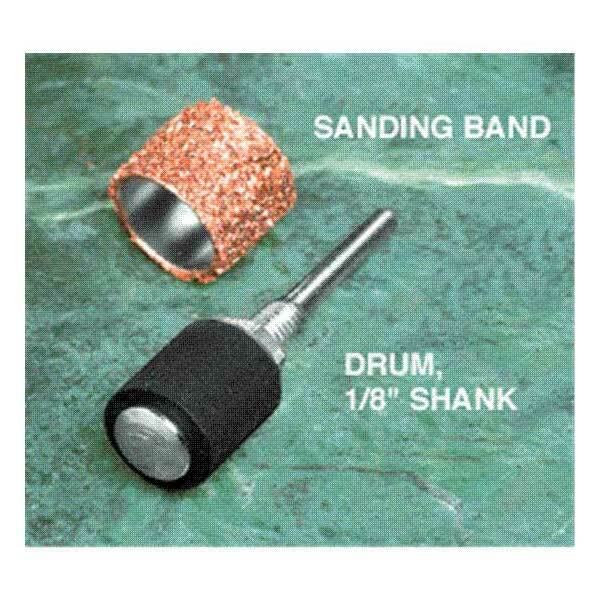 x 1/2 inch fine sanding band fits standard Dremel drum, or order #14563 Sanding Drum separately.